TCS Ninja test pattern for 2019 Batch students to be conducted in September 2018 MCQ - Section 1: Session 1: Contains 20 questions related to Quantitative Aptitude, Reasoning (Duration 40 minutes). Session 2: Contains 10 questions related to English Verbal Reasoning and Proficiency (Duration 10 minutes). Session 3: Contains 10 questions related to C programming proficiency (Duration 20 minutes) Programming - Section 2: Contains 1 Programming Challenge to be solved in 20 minutes. LOG into www.SkillRack.com to take TCS NInja tests. Questions asked for me mostly based on Resume. 1st question was asked about my activities in school level since I was from CBSE school. Then they asked to write a program to sort numbers using bubble sort. Then the Managerial HR asked about my strength and weakness, questioned my leadership qualities and finally I was asked about my adaptability in other states. I was confident of receiving my offer letter after this question and I received too!! My tip is to maintain your cool and just answer very crisply to the question asked. Hi buddies, This is Srivatsan I have attended TCS interview through on-campus drive Round 1: (4 sections) 1st section was Verbal ability ( we have to write an Email writing minimum 50 words and maximum 150 words), 2nd section was Aptitude (which consists of 20 questions in that 2 starred questions), 3rd section was MCQ programming (which consists of 10 programming question that also consist of 2 starred question), 4th section was 1 simple c program (for me finding sum of odd numbers series within a given range) Round 2: Technical, Managerial, General HR Questions asked for me mostly based on Resume. 1st questions was asked based on Technical. They asked me about what is RTOS, how you communicate with your system to the hardware, what is PCB deign, in computer where the PCB board is present, whether you know DBMS, what is cloud computing, what are the programming languages you know, why data centers are used , whether you know JAVA programming? and they asked about my project which I had done in my diploma. Then the Managerial HR asked about what is quality testing, why you want to join TCS, whether you leaded a team? and They asked if you are leading a team, in that team there are 3 members you alone working and the other two are not available because of some reasons, the customer ask two submit his product within two days but without that two persons you cannot complete the task? what you will inform to that customer? Finally, I got shortlisted for Job offer!!! So, we had Tata Consultancy Services visit our campus for On-Campus Recruitment Drive between 16th to 21st September 2017. There were basically four distinct rounds in the recruitment process. Iâ? ?ll be walking you through the interview process and my experience with the entire thing which can help you get an overview of the recruitment drive. We had an online exam which consisted of four sections. Section 1. Verbal Ability. In this section, a simple letter was to be written in 10 minutes. The letter may be either formal or informal. You must stick with the word limit and the keywords mentioned. Section 2. Quantitative Aptitude. I guess you donâ? ?t need an explanation with this section. 20 questions were there. Duration: 40 minutes. Negative marking was present. Section 3. Technical Aptitude. Basic questions from C language were asked. 10 questions. Duration: 20 minutes. Negative marking was present. Section 4. Coding Proficiency. A simple C Program was asked. If you are clear with your basics, you wonâ? ?t find a problem here either. Duration: 20 minutes. Just a tip of advice, learn how to code using command line arguments, since scanf() isnâ? ?t allowed. Now there is this category called Career 75 (75% marks in Class X and XII and CGPA of 8.36 during B.Tech, varying each year) where students were exempted from appearing for the Quantitative Aptitude section. Its a day long event. We left college at around 10 pm that night. 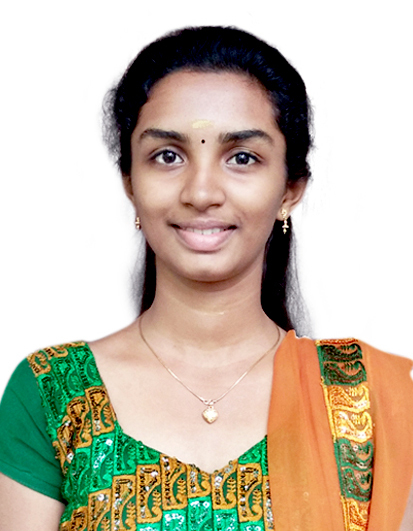 Hello Girls/Guys This is Suganthy S I have applied for the job in college job portal,it was about two days process Day 1: It was about 1 hour 30 minutes test.brie 1) Email writing -10 mins Rules to be followed: All the given keywords should be used without changing the tense of the word. Grammer mistake,spelling mistake,typing error are watched seriously. The given hint should be in brief of about 50 words and above. 2) Multiple choice question: 20 question --40 mins Rules: Negative marking of 0.33 for each question which goes wrong. There are star questions in which you can score twice the mark of allocated mark, if your answer is correct,else 0.33 will be reduced. I referred India bix, RS Agarwal,and questions from Skillrack. 3)Multiple choice /fill up kind of question for C language.-10 question--20 mins It also has the star question same rules for this also,questions where easy to understandable. Questions with fill in the blanks doesn't contain negative marking. 4)Coding -20 min The given question should be coded in 20 mins, it should also pass the private and public test case. Day 2 Self Introducing You should be strong in Courses that you were completed. Things that you not strong in can also be mentioned along with percentage of knowledge on it. I was raised questions from my main project. And also from computer network where i mentioned strong in my resume. At the end of the day i got selected in TCS requipment.